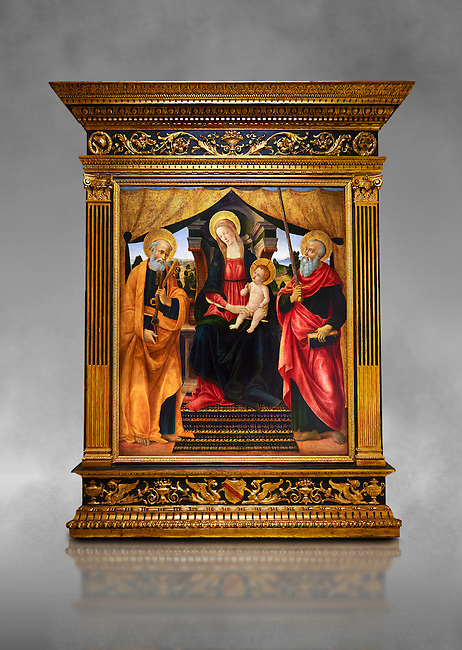 Gothic altarpiece of Madonna and Child with St Peter and Paul by Vicenzo Frediani, circa 1490, tempera and gold leaf on wood. National Museum of Catalan Art, Barcelona, Spain, inv no: MNAC 64978. Against a grey art background.